This iPhone photo inexplicably popped-up on my computer this morning, reminding me of how much fun we had in Elko for the National Cowboy Poetry Gathering. It’s been 6 days since any rain and the ground is drying out in places. We crossed the creek yesterday in the Kubota, 175 cfs, water in the floorboards. It’s time to go to work. 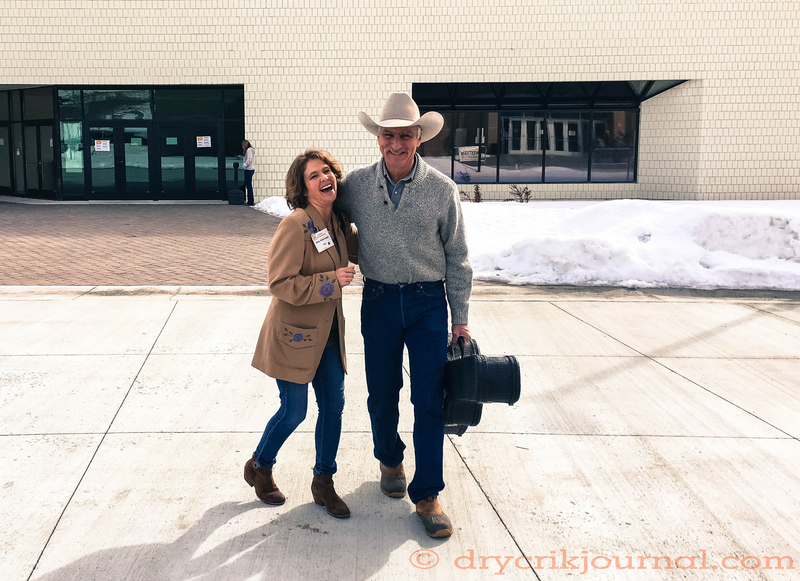 This entry was posted in Photographs, Ranch Journal and tagged National Cowboy Poetry Gathering, photography, weather. Bookmark the permalink. i envy you, going to Elko!! What wonderful memories you get to bring home. How many cowboys will it take to get your big calves down, and the work done on them?